We shot this video first. The plan was to do this one first as it was the simplest and use it as a sort of template for the others. For the most part it worked. Fun fact for this one. The groov controlled fish tank is just outside the server room, so when Paul used some audio processing to remove the humm of the servers, you can hear the bubbling of the fish tank. We had to find a happy ballance between the two. Also I did not move my arm enough when wiring the module, so it gets in the way, we fixed that on the other videos, but figured it was not worth a reshoot. That said, we re-shot this entire video 3 times. The first we just did not like internally to Opto. It just did not tell a story. The second we played to a group of students. They gave such compelling feedback that we went back to the script and re-wrote the whole thing. Again. This is the third go around you see here. Here is another of our signal videos. This one is about monitoring power use at a facility. Most times putting a CT or current transformer around the mains power lead coming into a building is too expensive or disruptive, so getting the power company to fit pulsing outputs is usually quick and easy. Granted, you are not likely to see this at a house (Gary would be exception, his place fairly glows with energy 24*7), but I’m sharing because my job is so weird that you need to see something about what I do all day. The amount of work that goes into these 6ish minutes is astounding. The script gets about 20 or so revisions as we refine it and take out extra words…. We also have to tweak the script to make sure it flows over the whole video and that each section meshes in with the whole video. The whole thing is so complicated that I have to use a teleprompter to read the script. We use an iPad and one way mirror to reflect the words in front of the camera. I have a foot operated button on the floor to pause and play the script as I am reading it. (I have it set to play faster than I can read, that way I can pause and change the pace of what I am saying without having to wait for the script to catch up with me). We have been busy at work videoing a new series of short ‘how to’s. We took a range of signals and then did a video around each one. The plan is to cover the basic input and output signals and then record a video on the software side of things. We are one video short of the physical signals, then we will start on a series of videos for the software side of things. The thought is that when we are done we will have a range of videos that will help anyone go from the physical world to the software world. Or, put another way, help an IT guy get his data into his software… ie, IoT. Figured I would share each of these videos with you lot since they should be entertaining enough to keep you amused for 6-7 minutes. We had to shoot the paper clip bit a few times, it kept rolling off the cylinder… We started out using a compass and seeing it twitch as the magnet went past, but it really did not view all that well, the paper clip clearly shows something moving up and down inside on the shaft. Also I wired the thing with the power supply switched on. Opps. So the video guy had to edit the LED and turn it off. The magic really is in the editing. You have a goofball ‘actor’ trying to make it sound like he is not reading and needs all the help he can get, so we throw in lots of graphics and they take time to draw and animate…. The editor (Paul) is just a whizz at making me look and sound good. No way we could do this without him. We did a video of my time on the Deepsea Challenger expedition for work. I think that Paul (our video guy) did a fantastic job. It is 5 years on March 23ed that Jim went on that historic dive. Time flies. It was an amazing experience looking back on it. A few months back we were sent by Opto to make what we call a ‘case study’ video of a company that uses our gear. 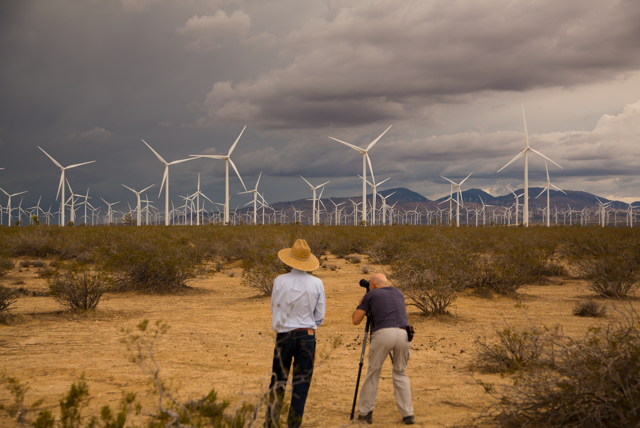 In this case, the company was in central California and they used it to monitor and control a wind turbine farm. My role was simply to interview the guy and take what we call B-Roll, that is video footage that gets edited into the interview to support what the guy is saying. I did not video much of it, we had my co-worker (Amy calls him my cell mate) up there with us. Paul also edited the video, so if you like what you saw, it was all him…. He is a wizard with the video and photography side of things. Anyway, this blog is more to show some of the stuff that we get up to for work, and give a small taste of what our product can be used to do. [As an aside, we had to have two goes at getting this video, the first time we went up there was a massive storm and the freeway got shut down by a landslide. 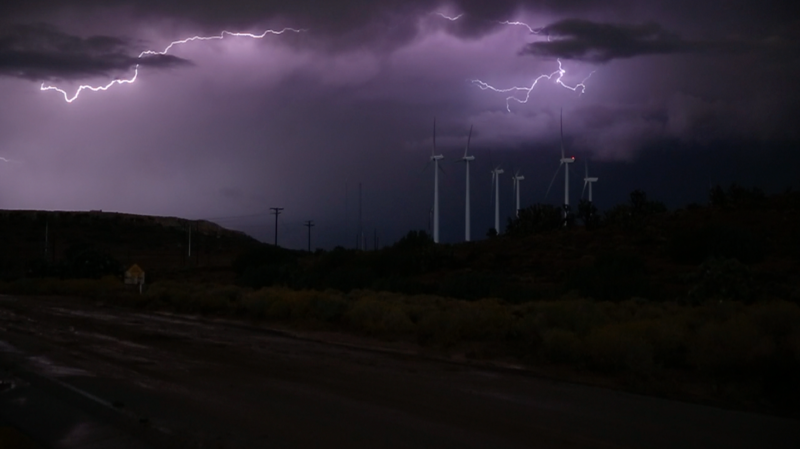 We were infact, in the hills above the freeway taking video footage of the storm and the turbines when it happen. Be sure and check out this link to see how bad it was. It was a very serious event, thankfully no one was hurt. Because we were on the top of the hill that was getting washed away, we had no idea. We were so focused on doing our job of getting video footage to use, that we did not get many shots of us getting the shots. The storm is just starting to brew in this shot. We packed up and headed up into the hills just after this and that’s when things really got going. 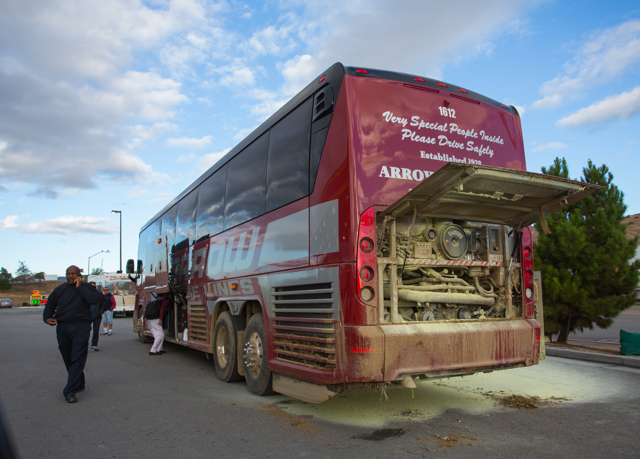 Here is one of a bus that drove through some action. We took this the next day at a servo. Here is a shot that explains really well why we did not know what was happening just below us on the freeway…. When you are getting stills and video footage like that… who cares about a bit of rain…..